AEye is applying its robotic perception expertise to automotive technology with its latest generation intelligent LiDAR for ADAS and autonomy. 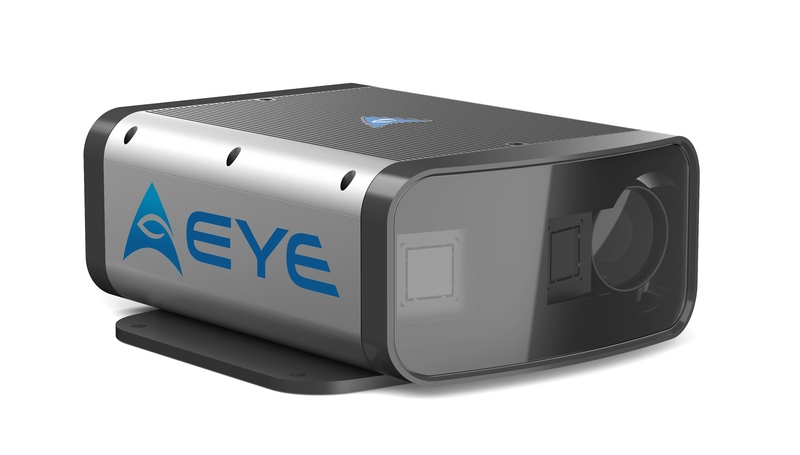 Robotic perception companym, AEye has released the AE100 robotic perception system for autonomous vehicle, ADAS and mobility markets. The AE100 is a solid state, cost-optimised system based on AEye’s iDAR technology, a new form of intelligent data collection that enables rapid, dynamic perception and enhanced path planning. iDAR (Intelligent Detection and Ranging) integrates three core components: an agile MOEMS LiDAR, pre-fused and bore-sighted with a low-light HD video camera, distributed artificial intelligence and software-definable and extensible hardware. This powerful combination enables iDAR to dynamically adapt to the real-time demands of automated and autonomous vehicles. The AE100 will be available from summer 2018 to OEMs and Tier 1s launching autonomous vehicle initiatives. The company’s iDAR Development Partner Programme is currently available to partners interested in integrating iDAR into their products. * Coverage: The AE100 can use dynamic patterns for mapping the environment, as it is not tied to one fixed mode. In evaluating any given scene, AE100’s software definable scanning delivers more than 10x the 3D resolution over legacy systems. * Speed: It’s 3x faster and does not miss any objects between scans while identifying and solving any temporal anomalies. This reduces scan gaps, resulting in more than 25 feet of faster response distance at average highway speeds – more than two car lengths. * Range: The AE100 extends effective range at comparable resolution by 7-10x over currently deployed LiDAR systems. AEye’s iDAR technology mimics how a human’s visual cortex focuses on and evaluates potential driving hazards. Using a distributed architecture, iDAR critically and dynamically assesses general surroundings, while applying differentiated focus to track targets and objects of interest. This scalable, software-definable approach enables iDAR to deliver higher accuracy, longer range and more intelligent information to optimise path planning software – enabling drastically improved autonomous vehicle safety and performance at a reduced cost. Built on the iDAR technology platform, the AE100 is designed specifically for the automotive and mobility markets and is the first of a family of products to support autonomous vehicles, ADAS and general mobility. It will have a limited release in mid- 2018, and a larger commercial release later in Q3. Given the innovative adaptive nature of iDAR, specifications will be software definable for the first time ever by frame or region of interest or Pixels/Voxels within specific frames. This gives OEMs and Tier 1s ultimate control of perception. Customisable general performance specifications include up to 200Hz frame rates, less than 60μs object or blob revisit rates, software-definable resolution of .09 degrees H/V and a maximum range of 300-400 metres. In addition, iDAR’s seamless integration of 2D and 3D data allows for virtual “plug and play” extension of all computer vision algorithms into a 3D point cloud with no added latency.